It’s time to kill the zombies. Download this game for free and get involved in an extreme fun. Shake your phone to lure zombies to electrodes. In this way, zombies will get killed. However, the scene does not remain the same as the electrodes changes their place after sometime. Moreover, zombies watch your strategy and find a way out of it. So you have to use more of your brain to find another way to kill them. This game looks different from all previous zombies’ games. You don’t have to worry about the graphics as they are really cool. You can’t complain about the sound effects because sound effects are also perfect. 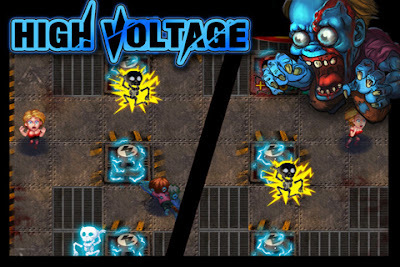 Battle with the zombies by using your skills and get awards. Later on you can upload the score on the net and you can tell the world how many skills you have. Map designed for this game is perfect according to the game style. If you love games than you must try this one. 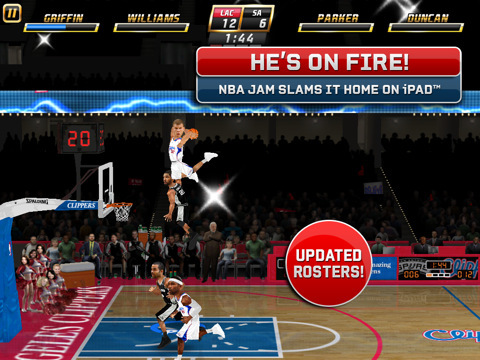 If you love basketball, this is a must-have iOS game for you. Designed by EA Sports, choose from 30 NBA teams to have fun like you never have before. You can unlock the legends of this game and some secret players too. But if you don’t want to wait for a win to unlock all of them, you can also purchase them whenever you want from the JAM store. You never get bored while playing it. It has 3 modes available. Either you can play by selecting a team or you can have a match with your friend via Wi-Fi or Bluetooth. It has got cool interface. You have two control options like D-pad and gesture-based, you can select any one you want. Go on fire. This game has got simple and cool interface, amazing graphics, really good sound effects and other features. But it charges $9.99. So cash in and have this exciting game in your phone. Having 6 different modes, this game is a real fun. This game includes 60 clubs, 3000 players and 79 nationalities. So you have a lot of players available from which you can choose whichever you want to. 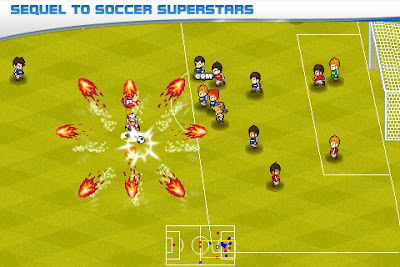 New version has come up with the updates like it includes header and free kick etc. You can also create and develop a player of your own. Carrier of your player starts from Rookie level. Play through different seasons, improve his skills, train him and compete against AI to improve his carrier and make him a superstar. You can also buy different items for your player. This game is really addictive. You can customize your player at anytime that includes change in his name, body features etc. Have fun while playing the most popular game on the globe. It does cost a little but what you get after paying for it is a lot of fun. So pay $4.99 and have this game on your phone.